Paul Bangay is renowned for the expansive and elegant gardens with classical lines and symmetrical plantings that he has created in Australia and all over the world. Yet gardens on this grand scale are not accessible to everyone. With more of us living in apartments, townhouses and terraces, our gardens are now being squeezed into small spaces such as balconies, courtyards, lightwells or rooftops - and this makes for challenging garden design. In Small Garden Design, Paul applies his 25 years of experience with gardens of all sizes to reveal how best to structure, design and choose plants for small spaces. Chapters on Balconies & Terraces, Rooftops, Inner City, Lightwells and Courtyards are lavishly illustrated with photos by Simon Griffiths and enhanced with lots of practical tips on plant types, paving, irrigation, soil, outdoor dining, lighting and making the space appear larger. In this accessible and practical book, Paul shows us 'how to make the most of the small space you have, and how to transform it into the paradise that we all aspire to'. Paul Bangay is one of Australia's most high-profile landscape designers. His working life is divided between Australian and overseas commissions; his spare time is spent at Stonefields, the garden he is building in the country. 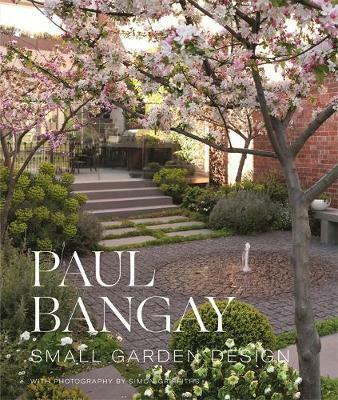 Paul's influential previous books, Paul Bangay's Country Gardens, The Garden at Stonefields, Paul Bangay's Guide to Plants, Paul Bangay's Garden Design Handbook, The Defined Garden, The Boxed Garden, The Balanced Garden and The Enchanted Garden, continue to find new readers. In 2001 he was awarded the Centenary Medal for his contribution to Australian landscape design. In 2018 he was awarded the Medal of the Order of Australia for service to landscape architecture.